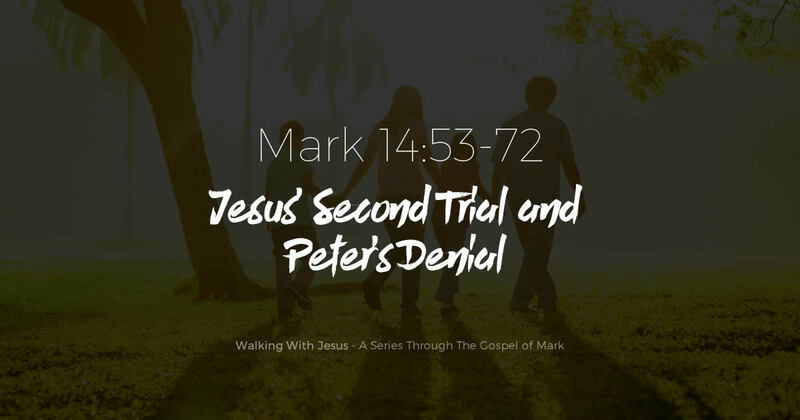 As we witness the acts and words of Jesus during these first two trials we are reminded of two things. Jesus was in full control of not only himself, but of the entire process. The plan was unfolding according to His Fathers plans. Much of the fine details of these events are laid out for us in Old Testament scripture as prophecies to what was happening and about to happen. Jesus bore the weight of our sin. And as we take into account Peter’s situation, we are reminded that we must pay very careful attention to God’s Word and His instructions. His Words can guide us, direct us, instruct us, protect us, comfort us, lead us, prosper us, and give us a fruitful and joyous life, but we have to apply it to our lives. We cannot be just readers of the bible; we have to be students of the Bible, and doers of the Bible.